Fly Casino offers you to lift off the month with unlimited bonuses January 20-25, 2018. That’s right, in addition to the promotions below, you are invited to claim a 30% bonus up to $/€300.00 on every deposit of $/€50 or more. Triple 77’s Sunday! On Sunday from 00:00GMT until 23:59 GMT, all members on their first deposit of just $/£/€30 or more will receive a 77% bonus up to $/£/€77 bonus. Claim it 3X! $50 Slots Bonus! 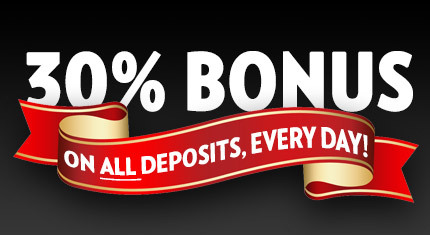 From 00:00GMT until 23:59 GMT, all members on their deposit of $/£/€30 or more will receive a 100% bonus up to $50.00. $225.00 BIG TUESDAY! From 00:00GMT until 23:59 GMT, all members on their deposit of $/£/€50 or more will receive a 75% bonus up to $225.00 bonus.